Junior Jael Osbourne scans the pool for an open teammate. 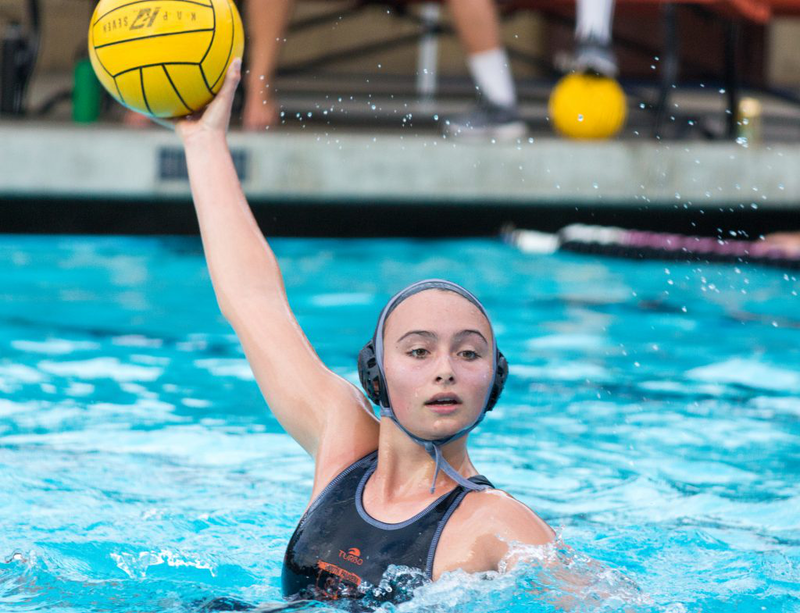 Excelling on both the offensive and defensive front, girls water polo enters league in a prime position to dominate. The team advanced to CIF semi-finals last year and maintained an undefeated record (4-0) throughout preseason. The Tigers are expecting another strong season, having a nearly identical roster to last season. Senior Hayden Carlson and junior Sydney Shettleroe are expected to lead the team through league matchups again this year, they scored 10 and 16 goals during preseason, respectively. The 2018 league season will culminate the dynamic duo’s two-year history on the high school stage. Throughout the duration of preseason the team shined time and time again, remaining undefeated, an unfamiliar feat for the team. The Tigers triumphed over every team, displaying offensive prowess and gaining large leads. The squad defeated opponents Pasadena Polytechnic, Pasadena High School, Warren High School, and Mayfield Senior School: 13-9, 14-2, 17-10, and 13-2, respectively. South Pasadena has been preparing since September with morning practices twice a week starting at six and daily after-school practices for two hours, all on top of Saturday workouts. The team has been developing individual speed and strength, while also learning how to cohesively work together as a team under new head coach Michael Gonzales. The Tigers are expected to do well in the Rio Hondo League this year, competing mainly with the strong offensive play of La Cañada. South Pasadena will play its first league game Thursday, January 11th, against Monrovia at home.